Findings could help millions of people who are unable to control seizures. A team of University of Minnesota biomedical engineers and researchers from Mayo Clinic published a groundbreaking study today that outlines how a new type of non-invasive brain scan taken immediately after a seizure gives additional insight into possible causes and treatments for epilepsy patients. The new findings could specifically benefit millions of people who are unable to control their epilepsy with medication. The research was published online today in Brain, a leading international journal of neurology. Important data about brain function can be gathered through non-invasive methods, not only during a seizure, but immediately after a seizure. The frontal lobe of the brain is most involved in severe seizures. Seizures in the temporal lobe are most common among adults. The new technique used in the study will help determine the side of the brain where the seizures originate. Brain scans of test patients using new technology and methods show that the frontal lobe of the brain is most involved in severe seizures. Epilepsy affects nearly 3 million Americans and 50 million people worldwide. While medications and other treatments help many people of all ages who live with epilepsy, about 1 million people in the U.S. and 17 million people worldwide continue to have seizures that can severely limit their lives. The biggest challenge for medical researchers is to locate the part of the brain responsible for the seizures to determine possible treatments. In the past, most research has focused on studying patients while they were having a seizure, or what is technically known as the “ictal” phase of a seizure. Some of these studies involved invasive methods such as surgery to collect data. In the new study, researchers from the University of Minnesota and Mayo Clinic used a novel approach by studying the brains of 28 patients immediately after seizures, or what is technically know as the “postictal” phase of a seizure. They used a specialized type of non-invasive EEG with 76 electrodes attached to the scalp for gathering data in contrast to most previous research that used 32 electrodes. The researchers used specialized imaging technology to gather data about the patient. 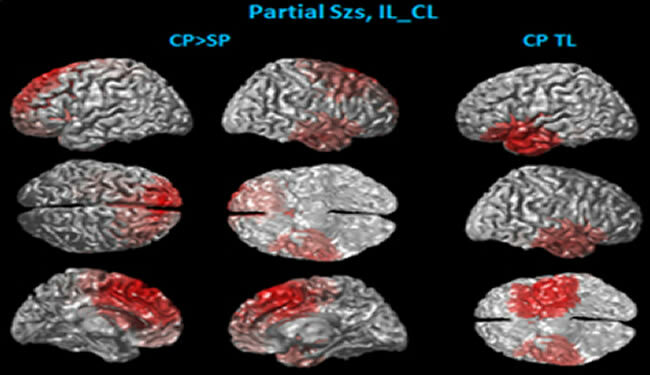 The findings may lead to innovative means of locating the brain regions responsible for seizures in individual patients using non-invasive strategies. Professor Bin He discusses his research on a new type of non-invasive brain scan that gives additional insight into possible causes and treatments for epilepsy patients. He, who was recently appointed the director of the University of Minnesota’s Institute for Engineering in Medicine, said this study was also a good example of a true partnership between engineering and medicine to further medical research. “The innovations in engineering combined with collaborations with clinicians at Mayo Clinic made this research a reality,” He said. In addition to He, members of the research team included University of Minnesota biomedical engineering Ph.D. student Lin Yang; Gregory A. Worrell, Mayo Clinic, Neurology and Division of Epilepsy; Cindy Nelson, Mayo Clinic, Neurology; and Benjamin Brinkmann, Mayo Clinic, Neurology. The research was funded by the National Institutes of Health. August 24, 2012 Antonio Casals M.
A new brain scan technology may improve treatments for epilepsy. August 24, 2012 Daniel Sonkin, Ph.D.